Welcome to Hometown Pizza III. You’re unique. You have your own way of doing things. Maybe you know what you want. Maybe you want to try something new. 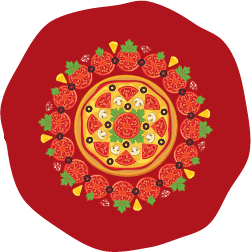 At Hometown Pizza III, we give you a world of possibilities- you can design your own custom pizza with any of our fresh ingredients, or you can try one of our signature pies. Either way, it’s your choice. That’s why we say: Believe in Yourself! Our menu not only has delicious pizza, also appetizers and salads, hot and cold grinders, pasta, seafood over pasta, baked pasta, chicken entrees, veal entrees, baked seafood, steaks and chops, we has very delicious children's menu and fountain drinks. Visit us and we'll feed You delicious and wholesome food.